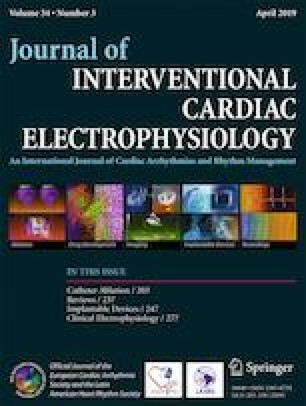 We sought to assess the safety and effectiveness of three different devices: (1) vacuum drainage system, (2) hemostatic gelatin sponge (Stypro®), and (3) compression device (Premofix®) compared to standard of care (control) in patients undergoing cardiac implantable electronic device (CIED) implantation receiving anticoagulation and/or dual antiplatelet therapy (DAPT). We enrolled all consecutive patients admitted for first permanent CIED implantation receiving anticoagulation and/or DAPT into a prospective registry. The primary endpoint (1°EP) was a composite of hematoma grade > 1 and pocket infection. We included 406 patients (median age 73 years, 71% male) of whom 103 (25%) received a vacuum drainage system, 99 (24%) received Stypro®, 103 (25%) received Premofix®, and 101 (25%) were in the control group. One hundred eighty patients (44%) were treated with anticoagulation (median INR 2.0), 176 (43%) received DAPT, and 50 (12%) both. The occurrence of the 1°EP was reduced by Stypro® (hazard ratio (HR) 0.38 (95% confidence interval (CI) 0.16–0.94) and Premofix® (HR: 0.37 (95% CI 0.15–0.90)) compared to controls (p < 0.05 for both). The incidence of hematoma grade 2 or 3 was exclusively lowered by Premofix® compared to control (6% versus 15%; p < 0.05) and was not affected by the type of CIED, INR (≥ 2.5 versus < 2.5), body mass index (≥ 30 versus < 30), or CIED implantation under anticoagulation plus DAPT. The vacuum drainage system did not affect the 1°EP or the incidence of hematoma. In patients receiving anticoagulation and/or DAPT undergoing CIED implantation, the use of Premofix® and Stypro® significantly lowered the 1°EP occurrence compared to control. Premofix® additionally lowered the frequency of pocket hematomas >grade 1. The authors would like to acknowledge the valuable work of the CIED-nurse team: Christine Feser, Anne Hasch, and Monika Schache. Georgieva S, Kokol V. Collagen- vs gelatin-based biomaterial and their biocompatibility: review and perspectives. Intecopencom/pdfs/23617 accessed 24.11.2017.